I used the services of Jason to give my website a total overhaul, he has done a fantastic job of creating an SEO friendly website and I have seen an increase in job enquiries already, very proactive & knowledgeable, highly recommended! Great service always on hand and very professional Proven results and really pleased. What a fantastic service! 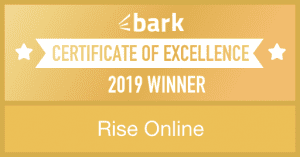 We have been working with Rise Online for the last 12 months. We've seen huge traffic increases and as a result our revenue over the last 6 months has more than quadrupled. The attention to detail that Jason applies is superb and it is his approach to conversion and search optimisation that have seen us grow at a faster rate than we ever have. Thanks for all your hard work - can’t wait to see what the future brings! Great service from Jason - excellent advice, immense attention to detail, and his knowledge about conversion and optimisation is second to none. A pleasure working with you and I'm sure Rise Online will go from strength to strength. We have been working with Jason for nearly 6 months now and have been extremely impressed with not only his knowledge but also with his effective and efficient manner. He is offering support and content management along with the hosting of our website, and also is very proactive in his thinking with new and innovative ideas. We would highly recommend Rise Online. Fantastic service, professional, I am very happy with all aspects, would highly recommend. Fantastic, professional service and advice. I cannot thank Jason Mills enough for his brilliant design of my website. I am new to running my own business and Jason's guidance on all aspects of the website and social media has been invaluable. Thank you so much.